Although US officials and the FBI work hand in hand to put a stop to mortgage fraud, there are still con artists out there who won’t think twice about making you their next victim. The best way to avoid mortgage fraud is to know what to look for. Here are some tips and tricks that can help keep you safe. Filling out loan applications can be an arduous task, especially if you’re applying through more than one lender. One of the tactics often used by mortgage fraudsters involves asking you to overstate your income or lie about where you got the money for your down payment. These are surefire signs that the lender isn’t truly vested in your best interests and just wants you to sign your name on the dotted line. 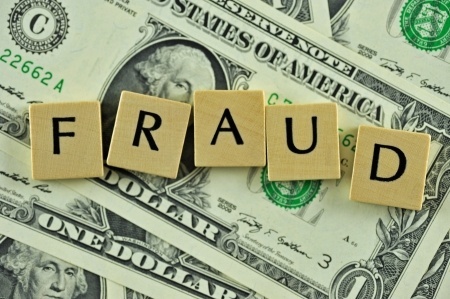 If a lender asks you to falsify information on your application, do not do business with them. Some fraudsters will attempt to get you to pay much more for a home than what it is actually worth. This type of fraud is usually geared toward young, first-time buyers and the elderly. Paying too much for a home can quickly leave you underwater, meaning you’ll owe far more to your lender than what your home is actually worth. To avoid this, do your own research. Find out what the homes in your neighborhood have sold for recently, and check out things like tax assessments. These can give you a better idea about what you should be paying for a home. Sometimes lenders or mortgage brokers will attempt to get you to sign a document that is blank, or one that has blank lines, claiming that they’ll “fill in the blanks” later. They’ll tell you that doing so is more convenient for you, and that it’ll save you time and perhaps even money when it comes to buying your home. When it comes time to close on your home, read everything very, very carefully. If you don’t understand something you’re signing, be sure to get a lawyer to interpret for you. Once you sign your name, you’re responsible for adhering to all of the terms and conditions found in the closing agreement. One of the most difficult parts of buying a home today is coming up with the down payment, which should be anywhere from 10% to 20% depending on factors like your lender and your individual credit score. Some banks and lenders will tell you they can get you a “no money down” loan in order to help you get into a home far more quickly. This may sound like a great idea, but be forewarned – brokers and lenders who do this are often doing so to sell you a home you can’t really afford. The absolute best way to avoid mortgage fraud is to ask your friends and family about mortgage and real estate professionals they trust. This way, you’ll personally know someone who has used those professionals, and you won’t have to worry as much about fraud.